 our Granger Line makes sure you get all the attention you need to raise your brand awareness. Printed latex balloons are ideal for in-store promotions, special events, tradeshows, give-aways, attention-catching displays and more! Plain (unimprinted) balloons also available. Contact us for more information. 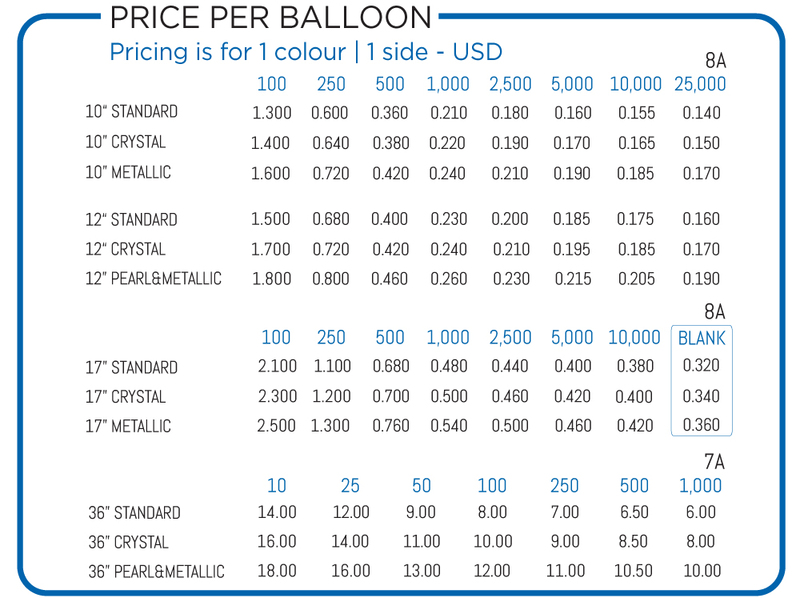 ALL PRICES BELOW ARE FOR 1-COLOUR IMPRINT ON 1 SIDE. 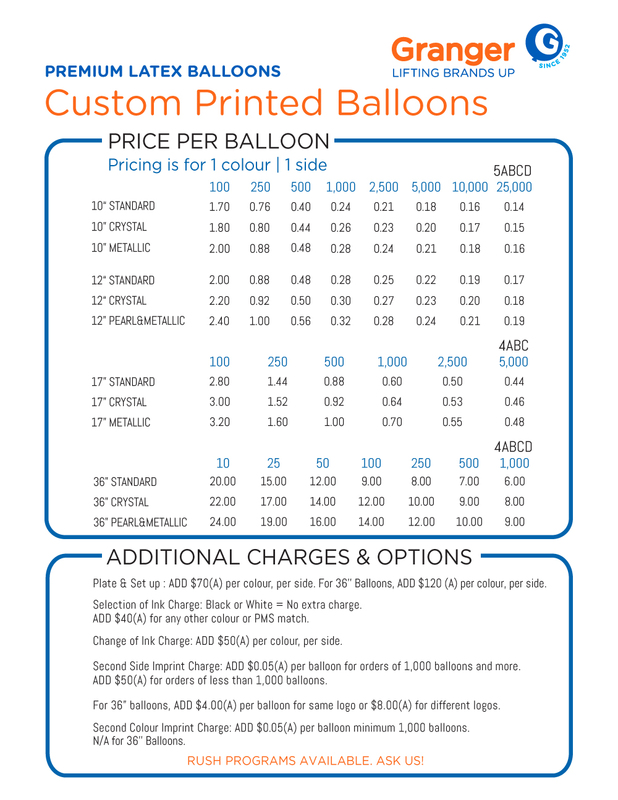 See the additional charges and options section for all details. ADD $70(A) per colour, per side. 50% discount on repeat orders. 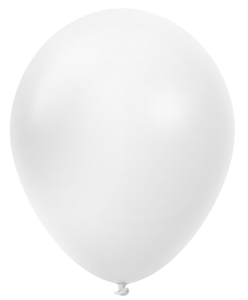 Black or White = No extra charge. ADD $40(A) for any other colour or PMS match. ADD $50(A) per colour, per side. 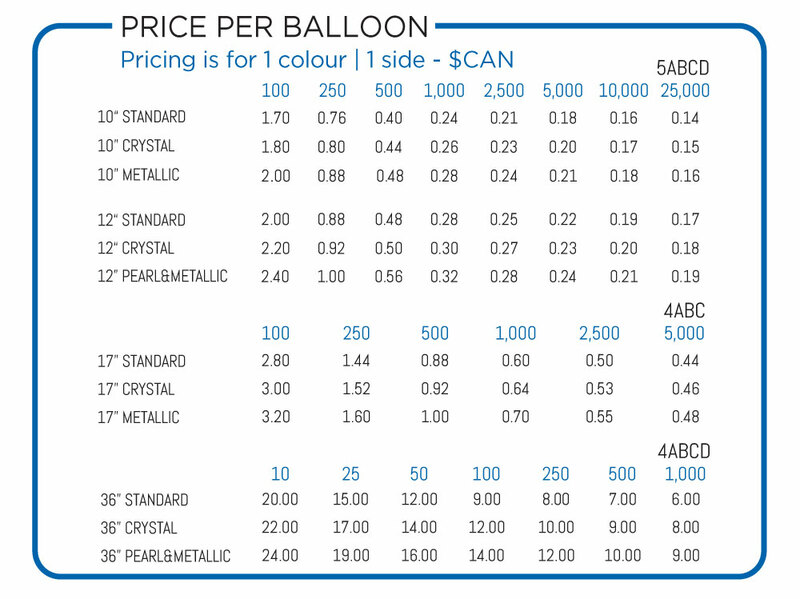 Paper proof Charge : $20(A) for orders of less than 1,000 balloons. 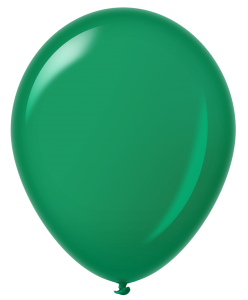 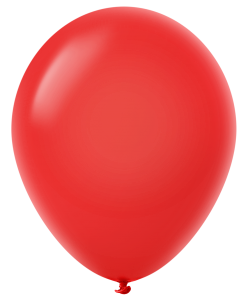 ADD $0.05(A) per balloon for orders of 1,000 balloons or more. ADD $50(A) for orders of less than 1,000 balloons. For 36’’ balloons, ADD $4.00(A) per balloon if SAME LOGO. ADD $8.00(A) per balloon if DIFFERENT LOGOS. ADD $0.05 per balloon. Minimum 1,000 balloons.